When it comes to alcohol addiction and treatment for alcoholics, the experts at Scripps Research La Jolla in San Diego get plenty of questions. Here are answers to some of the most frequently asked questions about alcoholism and addiction. Alcohol abuse and addiction is a very serious issue. Millions of Americans struggle with alcoholism, and Scripps Research La Jolla for Alcoholism and Addiction Research in San Diego is trying to help those addicted to alcohol and those who frequently binge drink. We offer clinical research studies for those with alcohol abuse issues, and also try to educate people on the dangers of binge drinking and alcoholism. With that in mind, we present some of our most frequently asked questions about alcohol abuse. If you have any further questions, contact Scripps Research La Jolla by giving us a call at (858) 784-7867. What is Blood Alcohol Content (BAC) and how is it measured? What Are the Short Term Dangers of Alcohol Abuse? If you constantly abuse alcohol, there are some short term dangers that will effect your health and wellbeing. Learn about some of the short term dangers of binge drinking and alcohol abuse. What Are the Long Term Dangers of Alcohol Abuse? 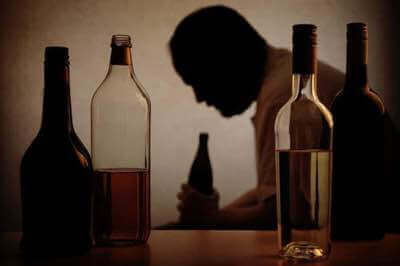 Alcoholism has a variety of dangers, especially over a long period of time. If you are constantly abusing alcohol, your body is going to feel the consequences with some serious long term dangers to your health. What is Binge Drinking Alcohol? Binge drinking is a very commonly used phrase, but what exactly does it mean to binge drink alcohol? What is the difference between recreational drinking and binge drinking? We reveal what it means to be a binge drinker and binge drink. What is the Danger in Mixing Marijuana and Alcohol? Marijuana and Alcohol are dangerous on their own, so what happens when you mix the two together? It is very dangerous mixing alcohol and marijuana, and we break down what exactly the dangers are. What are Some Tips to Stop Drinking Alcohol? If you are an alcoholic and want to quit drinking alcohol, you are going to need some assistance. Learn some quick tips to stop drinking alcohol, beat alcoholism and start getting your life back on track! When to Get Help with Alcoholism and Alcohol Abuse? A lot of people drink alcohol, but it can be tough to determine when you have transitioned from being a casual drinker to having an alcohol abuse issue. Read some examples of when to get help with alcoholism. Alcoholism and alcohol abuse is a well know issue for many people. However, many are confused as to what exactly alcohol addiction consists of. Learn what alcohol addiction is and how you can gradually become addicted to alcohol. Research is continually being done to try to determine what is the determining cause of alcoholism. We still do not have a definitive answer, but here are some possible causes an individual would choose to abuse alcohol and become an alcoholic. What is the 12 Step Program for Alcoholics Anonymous? Alcoholics Anonymous is a great program to help people beat alcohol addiction and stop drinking alcohol. Learn all about what the famous 12-Step Program for AA consists of and how it helps alcoholics stay sober. What Are the Signs That a Loved One Has an Alcohol Problem? Are you concerned that a loved one may have a drinking problem and are an alcoholic? Scripps Research La Jolla for Alcoholism and Addiction Research in San Diego breaks down the signs that a loved one may have an alcohol problem.